The world-famous San Diego Zoo is home to more than 4,000 animals representing 800 species, thousands of them on the endangered species list and many that are rarely seen at other zoos. Enjoy the chance to see and learn about this diverse collection of animals on a full-day trip to the San Diego Zoo. This transportation package with admission ticket makes it easy to get to the popular zoo without worrying about parking, finding a taxi or public transportation. One of California's top family-friendly attractions! Board the comfortable bus at select San Diego hotels or Kettner Blvd and enjoy a stress-free ride to the San Diego Zoo. When you arrive, pick up a map at the San Diego Zoo visitor center. Highlights of the zoo include the Gorilla Tropics, which recreates an African rainforest, and the Tiger River bioclimatic exhibit, which takes you into a realistic version of an Asian rainforest environment. This renowned zoo features animals that live in beautifully designed spacious enclosures that typically replicate their natural habitat. 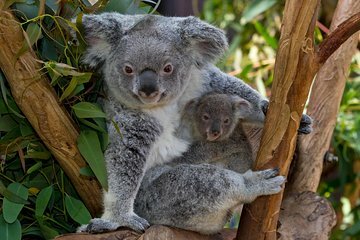 The rare giant pandas and koalas are perennial favorites, as are the ape exhibits, where orangutans and siamangs climb around in lush forest settings. Keeper talks offered throughout the day introduce you to animals such as elephants, giraffes, lion or jaguars, wolves and more. Some of the plants that grow in the zoo's spectacular gardens are also used to fulfill the specialized dietary requirements of particular animals. You might meet some of the zoo’s newest arrivals in the animal nursery. Especially for kids, the Petting Paddock allows young ones to pet small tame critters. Four different play areas offer a fun-filled safe place to climb and explore. Please note: This is a transportation and admission package. You will not be able to redeem your voucher at the San Diego Zoo. Purchased tickets and Transportation. When we arrived at hotel in San Diego and called local provider, they said they won't pick us up. Transportation would only be provided from their office. We had called viator when we booked and gave them our hotel, they called the local provider and the local provider said they would pick us up at the hotel??????? I had a blast at the zoo!Many animals that Ive never seen or heard of before.Pick up was good again.Everyone should go to the SD zoo for an education on our wild life. This is a must visit. Learned alot. We had a great time at the San Diego Zoo. The buses arrived at the exact scheduled time, picking us up from, and dropping us off, at our hotel. The driver was polite and knowledgeable about the area, regarding questions specific to San Diego. A must when in San Diego. Zoo is excellent.Pick up and drop off ... no problems. Pick up from zoo to hotel was on time and good. The San Diego Zoo is a great place to take the entire family. There are so many animals from all over the world to see and the keepers make sure you learn about them too.. The bus transportation made everything so easy for us.. Such a great day!